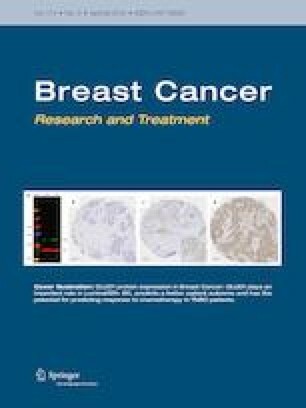 To evaluate and compare the efficacy and safety of the taxane plus anthracycline (TA) regimen vs. the taxane plus anthracycline plus cyclophosphamide (TAC) regimen as adjuvant chemotherapy in Chinese patients with node-positive breast cancer (BCa). Patients with BCa (n = 640) were recruited between January 2010 and June 2012. All patients were randomized to receive six cycles of adjuvant therapy with the TA or TAC regimen. The primary endpoint was disease-free survival (DFS). The secondary endpoints were overall survival (OS), quality of life (QoL), and chemotherapy-related toxicity. Finally, 630 patients were evaluable, with a median follow-up of 70 months. There were no differences in the 70-month median DFS and OS between the two groups (DFS: TA 79.7% vs. TAC 75.6%, P = 0.371; OS: TA vs. TAC, 85.1% vs. 87.6%, P = 0.271). The TA group had lower frequencies grade III/IV vomiting (TA vs. TAC, 11.7% vs. 18.1%, P = 0.025) and nausea (13.0% vs. 19.4%, P = 0.031). The health-related QoL score was higher in the TA group (74.1 ± 5.3 vs. 67.9 ± 4.4, P = 0.001 vs. TAC). In the adjuvant setting, compared with the TAC regimen, the TA regimen exhibits no significant difference with respect to DFS and OS in Chinese patients with node-positive BCa. On the other hand, TA is associated with less severe adverse events, lower economic burden, and better QoL. All patients provided written informed consent forms before participation in the study. The study protocol was approved by the Institutional Review Board at Peking Union Medical College in accordance with the latest version of the Declaration of Helsinki. This trial was registered with ClinicalTrials.gov (#NCT02838225).